Y. Fainman is a Cymer Professor of Advanced Optical Technologies and Distinguished Professor in Electrical and Computer Engineering (ECE) at the University of California, San Diego (UCSD). He received the Ph. D. from Technion in 1983. 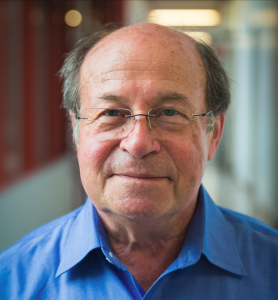 Currently he is directing research of the Ultrafast and Nanoscale Optics group at UCSD and made significant contributions to near field optical phenomena, inhomogeneous and meta-materials, nanophotonics and plasmonics, and non-conventional imaging. The research applications target information technologies and biomedical sensing. His current research interests are in near field optical science and technology. He contributed over 300 manuscripts in peer review journals and over 450 conference presentations and conference proceedings. He is a Fellow of the Optical Society of America, Fellow of the Institute of Electrical and Electronics Engineers, Fellow of the Society of Photo-Optical Instrumentation Engineers, and a recipient of the Miriam and Aharon Gutvirt Prize, Lady Davis Fellowship, Brown Award, Gabor Award, Emmett N. Leith Medal and Joseph Fraunhofer Award/Robert M. Burley Prize.